It is an age-old cliché, but You Are What You Eat. As a cyclist, perhaps you realise it more than most; but if you fill your diet with processed food and the wrong balance of nutrients, you soon realise it. What you put into your body, has a direct correlation to what it will give back to you; both in terms of feelings and performance. Eat Right, and you will perform at your best. Eating natural whole-foods, in their raw and unmodified state, is one step towards eating right. Celebrating seasonal produce, is another. Adopting age-old production methods, and experimenting with foreign traditional foods and recipes, is a third. It is all part of enjoying and getting the most from your food. That is what Nick Barnard's 'Eat Right' is all about. Nick is the co-founder of Rude Health - a brand that regular blog readers will be familiar with. Their ethos is around the best possible natural products, which make the most of whole-grains, nuts, seeds and fruit; through a range of snacks, drinks and cereals. 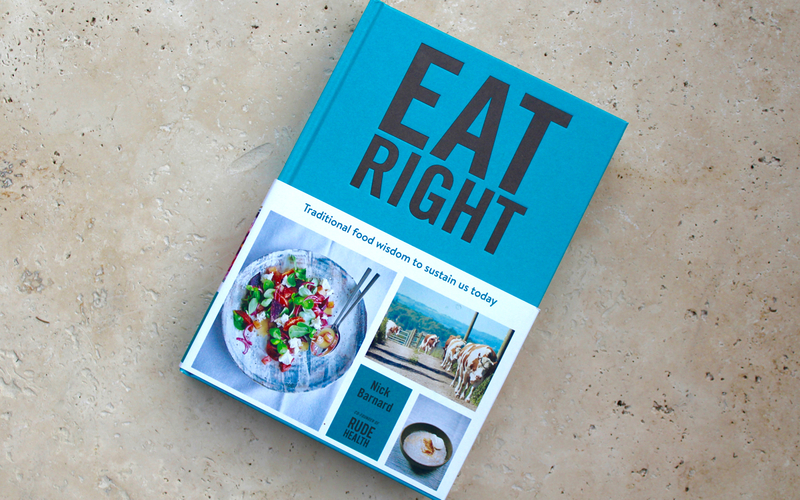 'Eat Right' takes things one step further, and expands its reach to what you can achieve with ancient natural ingredients like milk, raw veg and ancient grains. Whether it is the wonders of butter and cheese, or the benefits of Sauerkraut; you are sure to learn something new. 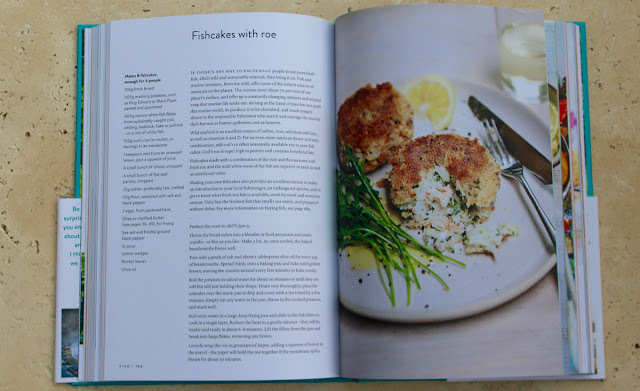 The book doubles as an educational reference, in the benefits of certain food groups from all over the world; as well as a recipe book, giving ideas on how you could integrate these foods into your diet. I have experimented with a number of the recipes from 'Eat Right', and I've enjoyed them all. 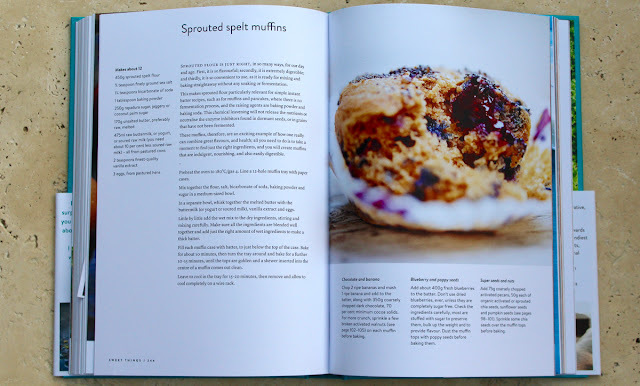 My top recommendations for hungry cyclists includes the Sprouted Spelt Berry Muffins, and the Seedy Energy Balls. The muffins aren't too sweet, and they are a relatively low-fat cake option (everyone needs cake!). The energy balls make use of the much touted Tahini, combined with nuts, seeds and fruit, to provide a tasty high-energy, high-protein snack. 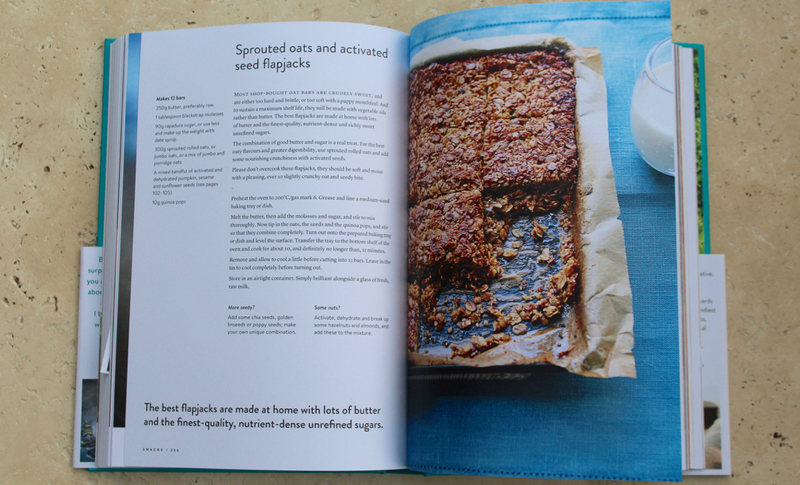 If you're looking for some new ideas for healthy, seasonal recipes; or you're keen to learn more about the benefits of natural ingredients, raw vegetables, pickles and traditional preserves; Eat Right is a very good read. This is one on my list of recipes to try - it looks like a great summer recovery dish!